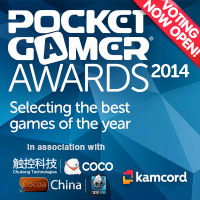 If you've already cast your vote in the Pocket Gamer Awards 2014, it's unlikely you'll be reading these words. So, I'll assume this is all news to you. Anyway, here's a quick rundown: at the start of a new year, we gather what we consider to be the best games to have been released during the previous year; sort them into format- and genre-specific categories; and present them to the world in an annual awards format. This is when you come in. WE select the finalists, but YOU get to vote in order to determine the winners. And now you've only got a week left to do so. That's because voting closes at 12pm GMT on Friday March 7th. From 3DS to iOS, you'll find all the key platforms and the leading game types represented. And, yes, you're encouraged to vote on as many or as few of those as you wish. And... that's it, really. 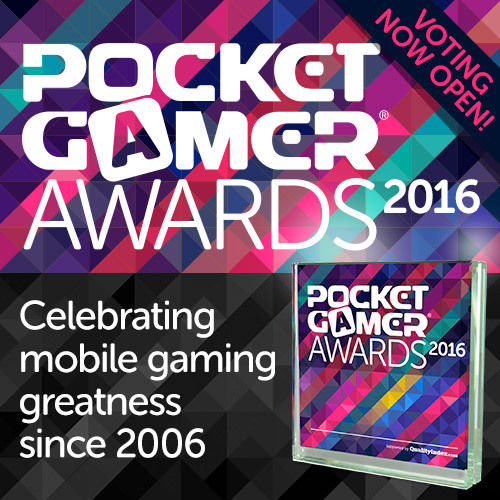 Simply visit the Pocket Gamer Awards 2014 page and make your voice heard. Oh, one more thing. You'll probably want to know who the winners are. We'll announce those on March 17th. To be the first to know, though, make sure you Like us on Facebook and follow us on Twitter.